Paul Jude Hardy was born October 18, 1942. His parents were Florent Hardy, Sr. and Agnes Angelle. He graduated from Cecilia High School in 1960 and from USL in 1965. While on the USL track team, he won the Gulf States Conference High Jump competition two years in a row. In 1966 he received his law degree from Loyola University in New Orleans and at the age of 23 began practicing law in St. Martinville in the firm “Willis and Hardy”. In 1971 he was elected State Senator for the parishes of Iberia, and St. Martin in a major upset victory. The Baton Rouge State Times named him as the “Outstanding Newcomer” of the year after his first legislative session. In 1976, he was elected Secretary of State in one of the greatest upset victories in Louisiana history. He came from behind to beat his opponent who had received 49% of the state wide vote in the first primary and won by more than 20,000 votes in the runoff. As Secretary of State and because he is fluent in French, Hardy was invited to represent the United States in an international government seminar in Quebec, Canada in 1976. In 1979 Hardy ran for Governor of Louisiana. Although he carried more parishes (18) than his opponent, he barely missed the runoff by only 4% of the vote. During 1980-1984, he served as Louisiana’s Secretary of Transportation. While there, he set a new record of $2 billion spent on highways. In 1985, Hardy assisted local entrepreneurs in the production of the full length feature film of the Cajun movie “Belizaire the Cajun” which was filmed in at Acadian Village in Lafayette. He was Associate Producer and played a bit part in the movie. Under his leadership, the movie industry’s economic impact increased by $51 million dollars after his first year as Lt. Governor. 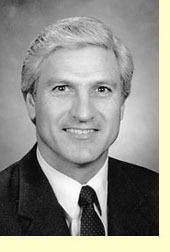 In 1987, he was elected as Louisiana’s Lieutenant Governor. He led the way to enact legislation creating Tax Free Shopping, which still today gives foreigners a great incentive to visit Louisiana. In turn, this concept has resulted in tremendous increases in our tourism-related jobs, and in 1989 alone increased tourist spending by a record $1.2 billion. In 1989, the award of “Man of Achievement” was presented to him by the Phi Kappa Theta National Fraternal Organization. In 1991, he was presented the New Orleans World Trade Center’s highest award, “The Order of the Plimsoll”. Today, Hardy is an attorney, banker, businessman and political consultant residing with his wife Sandi Gatlin Hardy in Baton Rouge. They have two children and two granddaughters. Gregory Paul Hardy is an attorney in St. Martinville and Yvette Hardy Gross is a USL graduate living in Baton Rouge.